The Health Insurance Marketplaces (Marketplaces), also known as the Health Insurance Exchanges, add a substantial new dimension to the Department's program landscape. The Marketplaces include State, Federal, and Partnership Marketplaces, each of which must implement and successfully operate a complex set of program requirements. Individuals use the Marketplaces to get information about their health insurance options, be assessed for eligibility (for, among other things, qualified health plans, premium tax credits, and cost sharing reductions), and enroll in the health plan of their choice. Sufficient enrollment, including enrollment of relatively healthy individuals, is essential for producing a stable and effective insurance market. The Department faces significant challenges in several key areas, including eligibility systems, payment accuracy, contractor oversight, and data security and consumer protection. Coordination among Federal and State agencies, private insurers, and contractors is necessary to achieve program objectives and poses an additional challenge to the Department. Eligibility Systems. The Federally Facilitated Marketplace (FFM) operates via the Department's healthcare.gov website. Healthcare.gov also serves as a gateway for consumers to reach State-run Marketplaces. The Department has acknowledged that it faces significant, well-publicized challenges in ensuring that healthcare.gov operates successfully. These reported challenges include hardware and software issues. The Department must ensure that healthcare.gov verifies consumers' personal information; accurately determines eligibility for Marketplace insurance, tax credits, and cost-sharing subsidies; operates effectively and easily for consumers; and transmits complete, accurate, and timely information to insurers regarding enrollees. The Marketplaces must also successfully facilitate Medicaid enrollment for those who qualify (see Challenge 4, Protecting the Integrity of an Expanding Medicaid Program). CMS operates and oversees the Data Services Hub (Hub), which allows for exchange of data between the Marketplaces and Government databases to verify applicant eligibility, in coordination with partners at the Social Security Administration, Internal Revenue Service (IRS), Department of Homeland Security, Department of Justice (DOJ), and the States. The Department must also be attentive to State Marketplace operations to ensure States' compliance with requirements, including requirements for making eligibility determinations and for transmitting accurate and timely data used for purposes of Federal payments, such as determinations related to subsidies. Contractor Oversight. Contractors have played, and will continue to play, a vital role in building, maintaining, and fixing the systems that underpin the FFM. Early reports reflected that these systems, as constructed, did not function as they were intended. The Department must ensure, to the greatest extent possible, that the Government obtains specified products and services from its various contractors on time and within budget. The Department faces a challenge to ensure proper management of, and payment under, the various contracts entered into for implementation and operation of the FFM, including the Hub. This challenge is heightened by, among other things, the large number of contracts and the need to coordinate work across multiple contractors. For general information on challenges associated with contract administration, see Management Challenge 9. Payment Accuracy. Ensuring accurate payments related to the Marketplaces also poses a substantial management challenge. The Department needs to implement financial management and payment systems to ensure accurate and timely payments to insurers of advance premium tax credits, cost-sharing subsidies, and premium stabilization payments. These payments involve complex calculations and offsets, adjustments, and reconciliations, which pose challenges for making accurate payments. Monitoring and accounting for these payments can also be challenging. In addition, some payments will rely on information obtained from private insurers. The Centers for Medicare & Medicaid Services (CMS) will need to work closely with insurers to ensure that information is timely, complete, and accurate. Given the amount of Federal funds involved, the Department should undertake a thorough risk assessment and, where appropriate, develop error rates to measure the integrity of program payments. Security. Effective operation of the Marketplaces requires rapid, accurate, and secure integration of data from numerous Federal and State sources and individuals who use the Marketplaces. It requires means for real-time communication among many Federal and State systems on a large scale. Because these systems handle consumers' sensitive personal information, security of data and systems is paramount. Where the Department offers consumers alternate pathways for enrollment that do not require consumers to use healthcare.gov, such as submitting paper applications or using a call center, the Department also must ensure that those pathways incorporate effective security and eligibility safeguards and work well for consumers and insurers. Another key responsibility is educating consumers about the Marketplaces and how to use them. It is also important to educate consumers about protecting themselves from fraud schemes, such as identity theft, since criminals often take advantage of new programs. Potential fraud schemes include identity thieves posing as legitimate assisters offering to help individuals purchase insurance in exchange for money or personal identifying information; imposters misleading Medicare beneficiaries into falsely believing they need to purchase new insurance; and sham websites that appear to be legitimate. The Department must also ensure that navigators, agents and brokers, and other assisters are qualified and properly trained to help consumers and provide reliable information. On December 1, 2013, the Administration reported significant improvement in the operations of healthcare.gov. The report identified improvement on several system performance metrics, including response time, error rate, system stability, and number of concurrent users. With respect to the Hub, CMS obtained its necessary security authorization on September 6, 2013. OIG had reviewed CMS's implementation of security controls for the Hub from March through June 2013. CMS has reported that all key steps that remained at the time of our review have since been completed. CMS has issued regulations and guidance regarding numerous aspects of the Marketplaces and the related subsidies and premium stabilization programs. This includes a final rule on program integrity provisions for the Marketplaces and related programs intended to safeguard Federal funds and protect consumers. In addition to these regulations, CMS reports providing technical assistance and other support to States regarding Marketplace implementation. The Department and Office of Inspector General (OIG) are working closely with Government partners, including the Federal Trade Commission (FTC), DOJ, and State Attorneys General, among others, to prevent and respond to consumer fraud in connection with the Marketplaces. OIG and the Department have conducted consumer education and outreach on how to protect oneself against fraud and identity theft. The FTC and States have primary jurisdiction for responding to consumer fraud allegations, and OIG has updated the OIG fraud hotline to seamlessly route consumer fraud complaints to the FTC, as well as routing consumer inquiries about the Marketplaces to CMS. The Department must continue to upgrade and improve healthcare.gov, including both the front-facing consumer functions, as well as the back-end administrative and financial management functions. The Department also must ensure that alternate pathways for enrollment operate with integrity and that consumers' personal information is secure. The Department must ensure that issuers and consumers receive accurate enrollment and subsidy information and that systems for paying insurers operate with sound safeguards and internal controls. 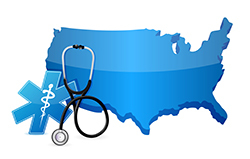 States and consumers must receive accurate information about potential Medicaid enrollment. Vigilant monitoring and testing of the Marketplaces and rapid mitigation of identified vulnerabilities are essential. The Department must address challenges in the short run to facilitate the ongoing open enrollment for 2014, when most people will be required to have health insurance. In addition, where the Department uses temporary mechanisms for the current enrollment period, the Department must develop permanent solutions that ensure the smooth and successful operation of the Marketplaces for special enrollment periods, the 2015 open enrollment period that is scheduled to start on November 15, 2014, and beyond. Moreover, the Department must address full implementation of the online SHOP Exchange. The Department must also complete its development and implementation of financial management and payment systems and ensure that payments to insurers, which are scheduled to begin in January 2014, are accurate. While in the near-term the Department faces immediate challenges related to healthcare.gov operations, eligibility verification, payment accuracy, contracting, and security of data, the Department will face continuing challenges as the program evolves over time. The Department will need to adjust its management and oversight approaches accordingly to ensure that problems are prioritized and addressed. As with other new programs, the Department must monitor for known fraud, waste, and abuse risks and detect emerging new risks to protect the Federal investment in health care reform. If fraud schemes are identified, the Department must respond quickly and effectively. Further, the Department must continue to coordinate closely with States and with other Federal agencies to monitor the operations and security of the Marketplaces and to implement the subsidies and other programs that begin on January 1, 2014. OIG will monitor the implementation and operations of the Marketplaces and plans to conduct oversight work initially focused on core risk areas, such as eligibility systems, payment accuracy, IT security, and contracting. In particular, OIG will conduct an audit of safeguards to prevent the submission of fraudulent or inaccurate information pursuant to the mandate at Public Law 113-46, Section 1001(c). OIG is coordinating closely with its oversight partners at GAO, other IGs (such as the Treasury IG for Tax Administration), and State auditors to develop complementary work and maximize the Government's limited oversight resources.